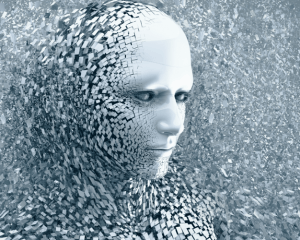 Artificial Intelligence (AI) – I have to admit I am fascinated with Artificial Intelligence. I usually get up on Sunday mornings and write this blog. However, sometimes I stumble across an article during the days or weeks before this morning adventure, down the blogger’s path, and it consumes me. Today’s Artificial Intelligence (AI) blog has been rattling around in my mind for the better part of two weeks. Most anything and everything about Artificial Intelligence (AI) catches my eye. Apparently, there is a Kroger store in Scottsdale, AZ where your order is taken online, then delivered with an unmanned vehicle (a robot) or more precisely AI. In Dubai, they are literally testing “driverless” passenger drones. Obviously, driven by many complex and interwoven forms of Artificial Intelligence (AI) this is great! I am starting to believe that in my lifetime, we will see, and it will feel like George Jetson. For you younger readers, look it up. There was a Saturday morning cartoon, about the future. However, that is the world I grew up in, thinking someday it would be like that. Jetting around in flying cars, and a robot in every house doing our chores. I specifically remember going to the Hansen Planetarium to see a show on robotics. There was a lot of excitement, I was maybe ten years old. We could not take my eyes off of the show. It showed many crude robots and discussed how they would ease the burden of manual labor. Doing all of the mundane, menial tasks, like cleaning the house (I- Roomba), and car manufacturing using them for painting, welding, even assembly. I was fascinated then, and I am still mesmerized by all of the possibilities today. More than cleaning and welding, we humans are coming up with pleather of uses for Artificial Intelligence. Recently there was a news story where robots were sent into a crime scene to disarm a perp, via a flash grenade. Robots (Artificial Intelligence (AI) have been used to surveil the Chernobyl disaster. And yes, we I believe humankind has no less than 14 landers on Mars, all with varying forms and levels of Artificial Intelligence. The opportunities are endless and only restricted by our imaginations. Too often I begin my blog heading in one direction, and then we end up someplace else. I intended to discuss AI, Artificial Intelligence and them many and diverse ways we are and can use them to improve and enhance our client engagement and retention. However, that looks like a topic for another day. Tune in next week; I will be more focused. AI improves our lives in so many ways. 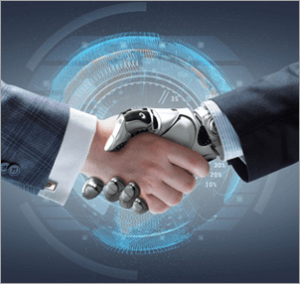 Nonetheless, to learn much more about Artificial Intelligence, and how it can improve Marketing Automation, client engagement, profiling and more. Ask e2 Total Solutions to assist in all of you Artificial Intelligence needs. We will be glad to help, and you can always speak with a real person.